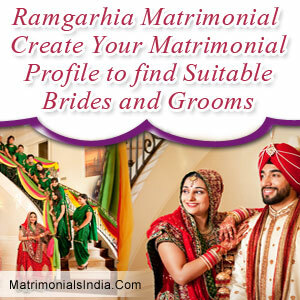 Ramgarhia Matrimonial: Create Your Matrimonial Profile to find Suitable Brides and Grooms[/caption] Are you looking for your soul mate? You have registered on a Matrimonial Website but do not know how to create an attractive profile? Then you are at the right place! Everybody wants to create an appealing matrimonial profile but very often, they tend to forget about some essential things that are necessary to grab the attention of profile visitors. Thus, you need to create an exclusive profile that can compete with the millions of other existing profiles. Here are some quick tips that can help you in creating a perfect matrimonial profile. Username : Username makes the first impression on the minds of the visitor. Therefore, you should invent a distinctive name that is memorable yet original. You can also sum up your personality in one or two words to make your username appealing. Complete Your Profile : No doubt, your potential partners will want to read more and more about your personality, thoughts and interests. While registering on a matrimonial website always ensure that you provide complete and true information about yourself. Be Honest & Precise : This is an important consideration that cannot be overlooked. You should always describe yourself with honesty so that when you meet the other person offline, he/she doesn't get disillusioned with your true personality. Focus On Your Positive Traits : While creating your matrimonial profile, you should always talk about your unique characteristics that make you stand apart from other profiles. You can mention your hobbies, areas of interest, etc. that may appeal to the people who are browsing through your profile. 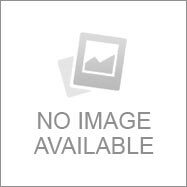 Post A Photo : A perfect matrimonial profile is the one which includes a recent photograph of the concerned person. Putting a photograph is always a cherry on the cake as it adds realism and worth to your profile. Describe What Your Need In Your Partner : Be confident and express the qualities that you are looking for in your dream partner. You can write about the physical appearance, honesty, intelligence, fidelity, sense of humor, educational qualifications, professional experience, etc. If you follow the above listed guidelines, you will be able to create a tempting matrimonial profile that can grab the attention of the prospective partners instantly. So what are you waiting for? Go ahead and find your perfect match!